This is the second of a series of posts that draw on discussion from workshop A at OEPS Forum 4. In this workshop we looked at ideas for the strategic development of open education in Scotland. The first post in the series summarised the factors that the workshop participants felt are driving greater use of OER and OEP. However, analysing the feedback from the six workshop groups, it’s very noticeable that as participants articulated the drivers for change they were also thinking about challenges and barriers. Across the groups there was discussion of bottom up and top down approaches to change. Several groups reflected on the challenge of getting buy-in from senior managers. It was noted that advocates of for change come up against colleagues and policy makers who are unaware of open education. This strand of discussion explored the challenges and opportunities in developing formal institutional policies. Some participants felt that this was essential to make progress, however others cautioned that in a developing field policy frameworks might restrict creativity. Being unaware of tools and techniques that make using, reusing and remixing OER relatively straightforward. But the discussion made clear that barriers to engagement by teaching staff are not just about technology and technical competence. If levels of knowledge about the issues are low, it’s possible to see ‘open’ as a threat to existing skills and professionalism. The insecurity this causes may be reinforced if pressure to adopt makes it appear that ‘open’ is just ‘one more thing’ to do. There was a strong sense from the discussion that developing practice in the context of OER needs to be seen primarily as a pedagogical issue. While most of the discussion focused on incorporating OER into the curriculum there were also comments from ‘users’ outside the formal education sector. In particular participants from the public sector with an interest in workplace learning noted that design of resources often doesn’t take into account the fact that many public sector organisations operate strong firewalls. As a result resources that include video may not be useable. The final post in this series will look at what forum participants said about engaging senior policy makers and ideas for cross-sectoral collaboration. Following on from Josie Fraser’s plenary at OEPS Forum 4 in March the remainder of the forum was spent in workshop sessions. One of the aims of the OEPS forums has been to provide a space where the educational technology, learning and teaching and widening participation communities can come together and share ideas and experiences. Although not the largest of the four forums, Forum 4 had arguably the widest mix of participants from these three communities and the range of responses to the workshop questions reflects the differing perspectives of the three groups. Workshop A involved small groups thinking about the challenges of developing a strategic approach to bringing OER and OEP into the educational mainstream in Scotland. 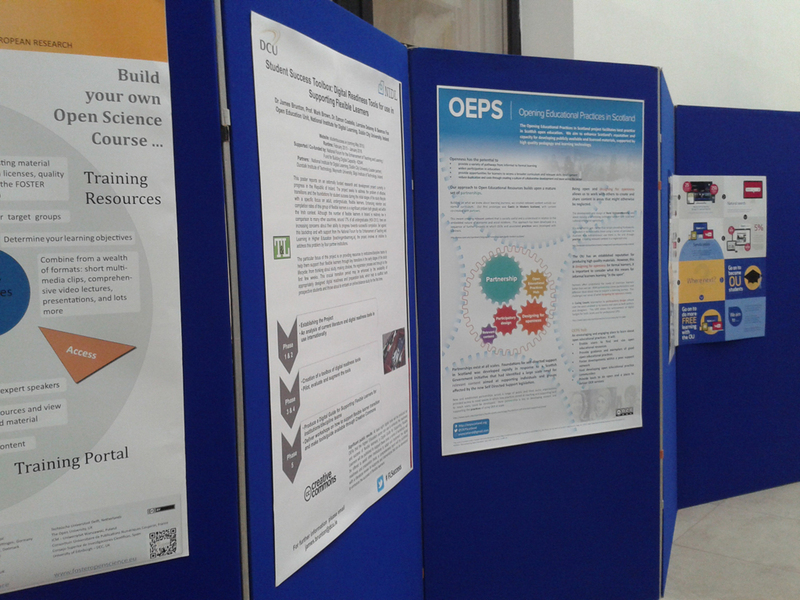 When the OEPS team designed the workshop we had in mind that, while there are excellent examples of OER and OEP in Scotland, interest in Open Education remains confined to a relatively small minority of staff working in further and higher education. What we hoped to do was engage all those attending the forum with thinking about what such a strategy would look like. What factors have driven, or are driving, an interest in OER or OEP in your institution or organisation? Are you aware of examples of how OER/OEP initiatives have started to reach wider layers of staff/students? What are the characteristics of your example and why do you think it has worked – we are interested in whether others could emulate? Where you had difficulties (starting or progressing) what were the barriers? Looking at the Open Scotland Declaration – in your context which of the themes do you think might be most attractive to take up as an initial practical step in engaging with OER and OEP? How engaged are senior policy makers in your institution/organisation? What are the key arguments or actions that might encourage greater engagement? Are there possibilities for cross sector collaboration? If so what – ideas to take forward? The workshop engaged six groups for an hour. The notes captured during this time reflected the intensity and range of debate. Although our first thought was to bring these ideas together in one post we soon realised that there is simply too much. So to do justice to the discussion this is the first of a short series in which we summarise the responses to each question individually. This post focuses on question one, which asked participants to think about the factors that are driving interest in OER and OEP. We addressed the factors driving institutional interest in OER and OEP against the backdrop of the Open Scotland declaration. However, from the perspective of higher education institutions some participants felt interest in MOOCs since 2012 had been the most significant stimulus. There were references to ‘not wanting to be left out’ and to the way in which MOOCs provide platforms to project institutional profile. Participants noted that while MOOCs are not normally openly licensed and therefore don’t meet the criteria for OER, nevertheless engagement with developing digital courses in a MOOC environment has spilled over into interest in using online material to engage with external audiences, and in the skills that academics require to create engaging online courses. The discussion suggested that these developments interact in interesting ways with much greater use of blended learning for campus based students and with moves towards open source and requirements for open research. Blended learning leads to some lecturers thinking of creative ways to develop resources. The use of YouTube and Vimeo to share material is increasing although ‘staff doing this are not necessarily aware of licensing issues’. One participant suggested that there’s a view that ‘if you’re putting things online you might as well have them in the open’. Openness in the research sphere often means that ‘open’ is mandatory but there is also the beginning of a trend to envisage OER as a vehicle for the public dissemination or research outputs. Running through the discussion of this question was an awareness of tensions in the development of open education in FE and HE. It was noted that institutional and individual views don’t always align. Workshop participants working for organisations outside the formal education sectors contributed additional perspectives. Awareness of OER is patchy, but when people and organisations are aware of the wealth of free, openly licensed resources available it provokes new thinking about how participation can be extended through use of OER and what kinds of practice (OEP) is required to help this happen. This strand of discussion overlapped with a view from the formal sector that ‘open’ fits with mission and values around widening participation. New and user-friendlier technology makes a fit between mission and means for widening participation increasingly possible. Discussion on drivers also focused on students and the skills and expectations they bring with them. Participants from the formal and informal sectors reflected on the extent to which students (clients, members etc) live in a digital world and the ways in which this exerts pressure for change. Much of the discussion of drivers for developing OER and OEP was intercut with observations about challenges, barriers and tensions. For the sake of brevity we’ve omitted these here. However, they will be addressed in the next post in this series, which will centre on the second workshop question. If you’ve written on the factors driving adoption of OER and OEP and would like to share or if you have a response to this post do post in the comments or get in touch via oepscotland@gmail.com. To say that the open community are just a little bit in awe of Josie Fraser might not be too much of an exaggeration. Where most of us struggle to convince our colleagues or if we’re really ambitious our institutions to engage with open educational practice, Josie has instrumental in the DigLitLeicester programme which has created a sea change in secondary education within Leicester City Council schools. So OEPS were delighted to welcome her as the keynote speaker at the fourth open forum on 9th March in Stirling #OEPSforum4. Her presentation on ‘Connecting Open Practice’ was all the more relevant as it was also Open Education Week. Rather than repeating her speech here (when you can just see it on Youtube) we thought it more useful to reflect on some of the issues which she raised. As Josie highlighted the rise of open education practices is rather reminiscent of the development of web 2.0 and social media, and more recently online education; which raises the question of what can we learn from these movements? Probably key among the learning is that each of these have involved a seismic culture shift that has started small, with even early adopters not really predicting the ultimate sea change we’ve seen in how these things have changed not just education but society as whole. Consider for a moment the rise of the hashtag from microblogging to ubiquitous across all forms of online engagement and into real life. This has created social change, not only in how we use and engage with technology but also how we find, search, organise and share information. This presents exciting opportunities, particularly when we think about ‘open’. It gives us the opportunity to develop and promote good educational practice (at all levels of education) in a way that we haven’t easily been able to before. However this rapid pace of change has meant that educational policies haven’t kept up with educational practice (with a few notable exceptions such as Leeds University, Glasgow Caledonian University, and the University of Edinburgh, who now all have OER policies). It is perhaps only with a shift in policy that the multitude of educators who are blissfully unaware of the potential of open education, or as Josie suggested those who have ‘open blindness’, will realise the potential of open to facilitate not only their own learning and develop their educational practice but also that of their students. This mismatch in expectations of what students and educators know and what they need for their daily practice must be addressed. This isn’t just a role for education providers but also for teaching and student unions, governing bodies and institutional leaders, and for local and national governments. Such bodies might wonder how to achieve this but guidance on what might be achieved can be found in the Open Scotland Declaration and on how it may be achieved can be seen in the activities of sector leaders such as Leeds University, Glasgow Caledonian University, the University of Edinburgh and the Open University with OpenLearn / OpenLearnWorks amongst others, and of course the work of DigLitLeicester. Josie highlighted the pedigree of Scottish education being at the forefront of technology support education innovation; and suggested that we pay heed to paragraph 7 of the Open Scotland Declaration which states “The next step forward is to join up these initiatives and develop policy support and guidance to enable the culture shift required to embed open education practice across all sectors of Scottish education.”. Does it matter if we use an open licence? Do we have permission to use an open licence? Does it matter what open licence we use? Does it matter how we cite openly licensed resources? …as a country we are still very much at the first stage. To move on, educators need to be given permission and support to use open educational practices, and as open educators we need to engage with the governing bodies and institutional leaders, the teaching and student unions, and local and national governments to discuss open educational practice. This will help to create a society which is more equitable and fair, with improved digital literacy and improved quality of education; which in turn will bring social and economic benefits and as one person commented in response to Josie’s questions ‘Using OER makes you feel good!’. However there’s quite a road to travel yet, whereas 75% of US educators use and understand open educational resources and creative commons licenses, Josie suggests that the same figure only applies to UK educators in terms of the number of OERs used, with many being unaware that they are even using OERs. This is despite open educational practice being used every day through the use of Wikimedia, TES resources and TED talks being openly licensed, and even Google drawing on Wikimedia for its searches. Josie posed some interesting questions to the forum, which she simultaneously also put into the open via Twitter. These reflected many of the common responses about OER, ranging from ‘I’ve never heard of those’, to ‘My resources aren’t good enough / are too good to share’, to ‘That just sounds like extra work for me’. There was a sense in the forum and on Twitter that these are fears that we can easily allay, provided a change in culture is created. Albeit there is a chicken and egg situation of can the culture change be created first, or does it come about by virtue of individual change. If we can persuade people and institutions that open education is nothing to fear and indeed it’s something that many are already doing without even realising it; that it is a means of enhancing quality and reputation; and that the investment in open education will benefit students, educators, institutions and the wider community well beyond our original investment then we can begin to win the battle for open. However Josie highlighted that change starts with us, as she said ‘today’s a good day to start changing your practice’– what are you waiting for? The conference theme for OER15 was Mainstreaming Open Education. The OER movement is coming of age; however awareness of the benefits of OER and open educational practice is still patchy or non-existent in education and beyond the sector. As Cable Green explained in his keynote at the opening of the conference the OER movement still has a lot of OER infrastructure work to do to reduce barriers to education, transform teaching and learning and enable open practices so that OER can truly realise its potential. The overriding theme of the OEPS project is the use of OER at large scale to help transitions between the different parts of education and to widen participation, particularly with learners and creators of OER who are not in the traditional bounds of the academy. Our poster gave a snapshot view of this which Pete Cannell explored in more detail during his presentation. 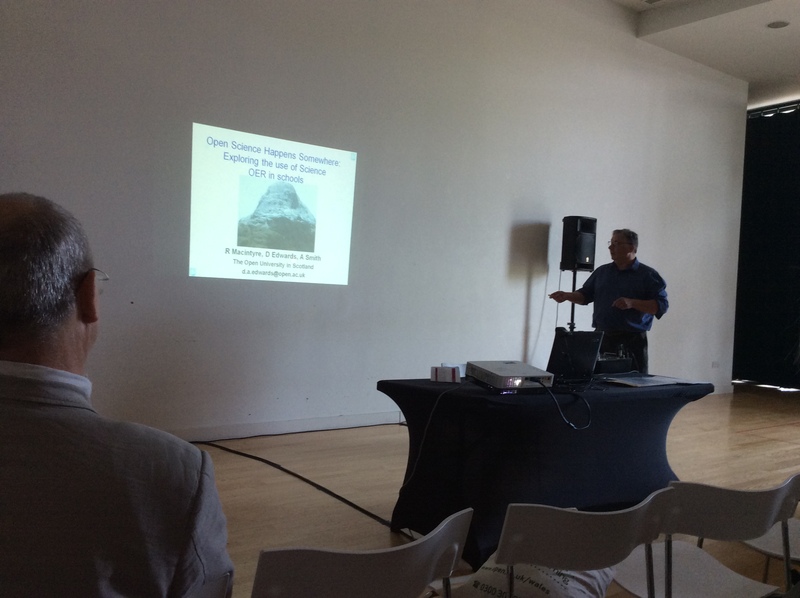 In his talk at OER15 Pete explored the origins of OEPS. It stemmed from the Scottish Government policy of encouraging educational institutions to work together with outside partners for mutual benefit. From 2007 onwards partners started asking the OU about OpenLearn and free resources for learners, which excited their interest in producing OER of their specialist materials. However in almost every case revisiting them a few months later revealed they had made little progress because they didn’t know how to go about creating good engaging OER without support. These partnerships which the OU in Scotland pursued brought skills and knowledge from outside the academy and resulted, in some instances, in the co-creation of material with professionals and students. These weren’t large scale initiatives and compared to the wealth of resources the OU was making available on OpenLearn, small individual resources produced with partners was big news to the partners in their contexts, especially when the materials produced went on to influence other sister organisations. A major strand of the OEPS project involves supporting over 40 partners as they explore OER and OEP, the barriers they face and the good practice they can share. Pete highlighted working with Union Learning Reps (who act as intermediaries between learners and organisations but are often poorly resourced), Parkinsons UK, who have some good hardcopy materials for their face to face accredited workshops but cannot deliver these on scale and the Glasgow University Wellcome Trust funded ‘End of Life care’ programme which has a large community online but no mechanism for sharing the material that people really need in a structured way. He also talked about working with Lomond and Trossachs National Parks, their work with SMEs (Small and Medium Enterprises) and the dissemination model which OEPS is helping them develop. Partners are very enthusiastic, and bring context, skills and knowledge which is really valuable. Pete mentioned that the OEPS project is investigating the use of Open Badges. There are already five badges associated with the project (attached to materials hosted on OpenLearn Works, some of which have been developed in partnership between the OU in Scotland and various caring organisations), with more planned in the near future. An online hub for open education practice is being developed as part of the project with the primary focus being on guidance, exemplars and communities rather than creating another repository of OER, though the hub will have a search function which helps users find good OER for their needs by searching many repositories. Pete explained that the hub will sit on top of OpenLearn Works, an OER sandbox and repository site where anyone can create OER. OpenLearn Works was developed by The Open University to complement its OpenLearn site and the OEPS project is inspiring further developments including better user guidance for the site. In the other presentation from the OEPS project (Open Science happens somewhere: exploring the use of Science OER in schools), Dave Edwards explained how, following discussions with Education Scotland, some OpenScience lab resources had been brought into two classrooms in rural Scotland, in a pilot to explore the extent to which these online experiment tools could help overcome some of the very real problems faced by small rural secondary schools when delivering the Science curriculum. For these schools their remoteness means that visiting local universities is impractical, their budgets for lab equipment and materials are constrained and access to the internet is often interrupted because of telecoms infrastructure problems. Additional constraints also included the desire for the pupils to be able to access materials online from home computers but that in some cases no home computer was available. Following discussions with the teachers about the OpenScience lab tools, it became apparent that the tools in themselves were not sufficient in a secondary school context. The teachers, who knew the curriculum and the capabilities of their pupils, needed wrap-around materials to help prepare the pupils for the tasks, which would give the pupils a different perspective during revision of the topics they had previously covered in class. The pilot team used existing OU OER to prepare this material and it was uploaded to OpenLearn Works behind a password, as a couple of the images used had not been cleared for open use in the short timescale available. The project team visited the two schools when the resources were being used to observe how the pupils and teachers reacted to the materials. For the Polymerase Chain Reaction experiment, the pupils worked through the preparatory materials, ran the experiments, collected and interpreted data, discussed their interpretations with their teachers and tried ideas out. For the Analysing pesticides in the environment using gas chromatography-mass spectrometry, the series of lessons involved the pupils in revising concepts of structural formulae and valencies, learning about mass spectrometry, developing their own hypothesis about how pesticides might be distributed in a tidal bay, devising a sampling plan, collecting data, matching spectra to library data, calculating concentrations and interpreting the results. In both topics these were sophisticated experiments and complex tasks. Dave reported that feedback from the pupils showed that they saw this as a ‘normal way to learn’ (though they didn’t always like online learning, as Ronald Macintyre mentioned in tweet during OER15), it was convenient, they gained an understanding about experimental work and the equipment, it generated plenty of discussion and they were able to access it from home. It seems from this small pilot free open experiments can be made more accessible to pupils by wrapping them in a VLE-based learning journey. There was also a session (Common Ground – an overview of the open education landscape in Scotland), run by Lorna Campbell, about the Open Scotland Declaration which unfortunately I wasn’t able to attend because of parallel session clashes. The OEPS project is working with Open Scotland to develop a strategy for wider buy-in of the Open Scotland Declaration in the longer term; the OEPS project funded the second draft of the declaration. 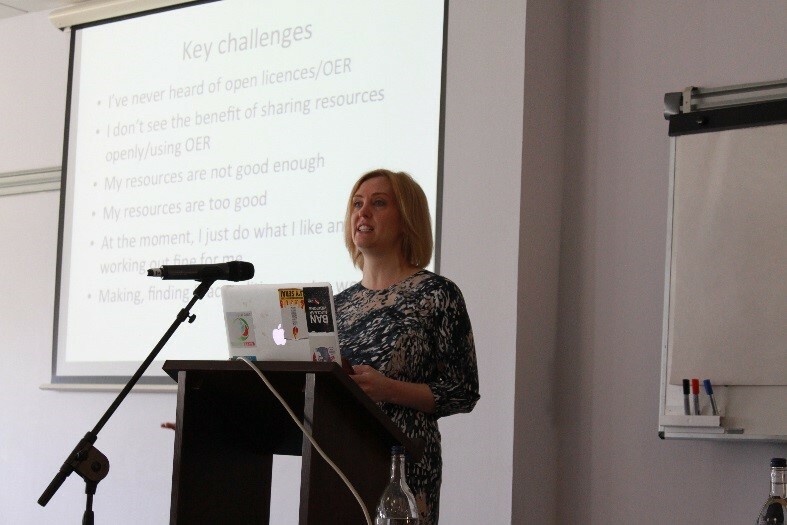 OER16: Open Culture will be held in Scotland during April 2016, with Lorna Campbell (CETIS, University of Bolton) and Melissa Highton (University of Edinburgh) as co-chairs. The conference themes will offer plenty of opportunity for the Opening Educational Practices in Scotland project to share progress, findings, experiences and good open practices being developed in partnership across Scotland. 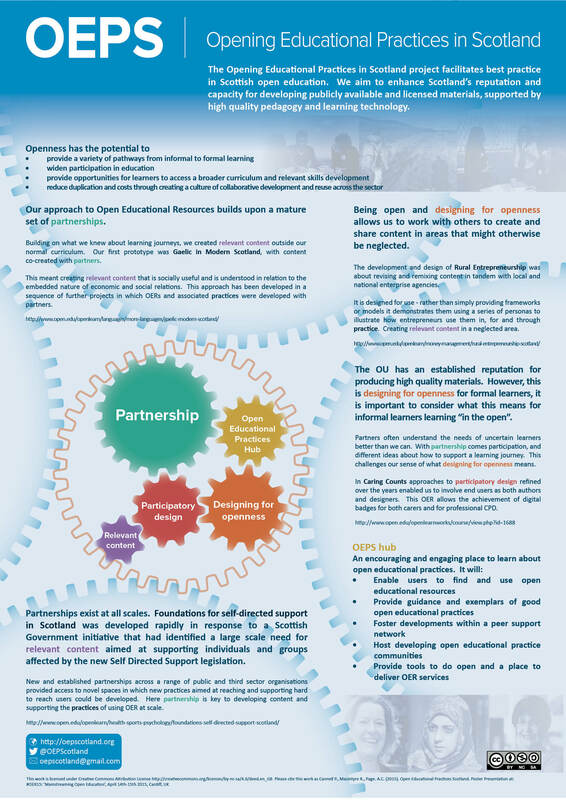 Lorna Campbell has kindly allowed OEPScotland to reblog her post about the Scottish Open Educational Declaration #OEPSforum2 workshop, which was published on OpenScotland on 30th March 2015. 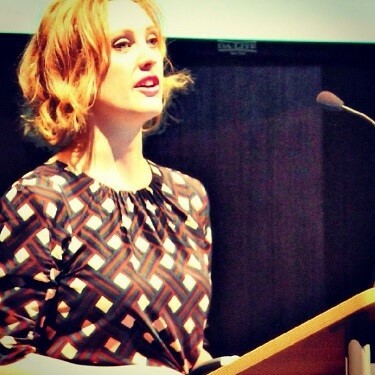 She has also provided a useful overview of Laura Czerniewicz’s keynote in this post. In the afternoon I presented two workshops on future directions for the Scottish Open Education Declaration, (slides from these workshops are available here). The second draft of the Declaration was published by Open Scotland in December 2014, after receiving a small amount of very welcome funding from the OEPS Project. Shortly afterwards, the ALT Scotland SIG forwarded the declaration to Angela Constance, the new Cabinet Secretary for Education and Lifelong Learning. Although Open Scotland has not been in a position to actively promote and disseminate the declaration recently, primarily due to lack of funding, it was evident from participants at the workshops that there still seems to be real appetite across all sectors of Scottish education to continue taking the Declaration forward. Several participants said that they had found the declaration useful for raising awareness of open education within their own institution and for triggering discussions about open education at policy level. The Scottish Funding Council also appear to see some merit in the Declaration and during discussions with workshop participants and members of both Open Scotland and the OEPS Project, we were able to identify several steps to take the Declaration forward. We hope to share Lorna’s reflections on the discussion at the workshop in a few days.